The U.S. Congress has recently changed some due dates for filing tax returns and other reports. The April 15 deadline for filing taxes in the U.S. remains the same. The June 15 filing date for expats also has not changed. Extensions are allowable up to October 15 for all U.S. citizens and residents. 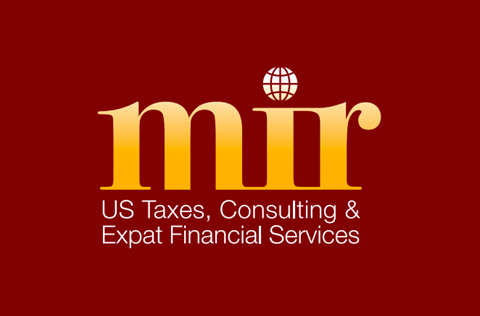 If you are an expat with a foreign bank account which reaches an aggregate balance of $10,000 during the year, you are required to file the FBAR. The FBAR is now due April 15. This is a change from the June 30 due date. 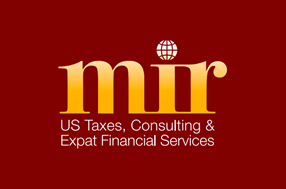 Expats should keep this in mind in 2016 to avoid the severe penalties imposed by the U.S. Department of Treasury. Penalties can be monetary or prison. However, the law now allows for filing an extension of up to six months. If you have been required to file a FBAR in the last six years but have not, you should apply for one of the IRS amnesty plan and hope for leniency. If you have “willfully” not filed your FBAR, you can face penalties equal or greater of $100,000, or 50%of the balance in the account for each year that you did not file. Criminal charges can be up to ten years of prison. If this applies to you, contact Mir Taxes for advice. If you conduct a business as a partnership, your tax return will be due March 15 … NOT April 15. However, if your partnerships do not operate on a calendar year, your return will be on the 15th day of the third month following the close of your fiscal year. You operate a C Corporation? These returns will continue to be due on March 15, or after the third month the fiscal year closes on the 15th day. The new law also allows the IRS to have an audit period of up to six years but starting after December 31, 2015. Previously, the IRS had an audit period of three years. Are you up-to-date on filing your tax returns each year? If not, you should file back years before the IRS catches up and slaps huge penalties and interest on any tax owed. By not filing, the IRS will assume how much you owe to them because they will not have all of your information, for example, deductions, credits, specifically the Foreign Tax Credit. Not to take Social Security at Age 62?